It’s become an end-of-summer tradition. 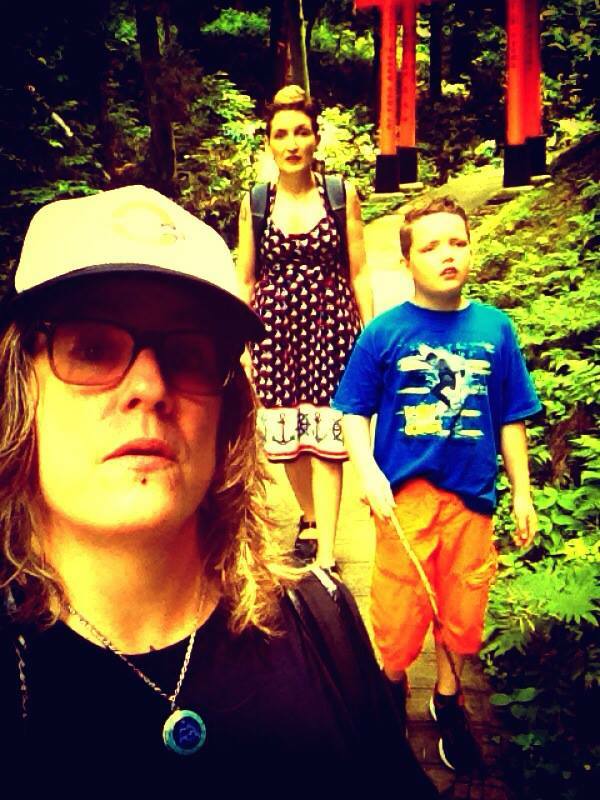 Over the past several years, I’ve created a collection of posts about family vacations with my gender-ambiguous wife. Whenever we travel, public restrooms are a problem, because we never know when Katy will be read as male and when she’ll be read as female. We’ve studied the variables, but there doesn’t seem to be any discernible logic to the “sirs” and “ma’ams” that come her way. From South Texas to Hawaii, we’ve navigated public restrooms as carefully as the average traveler might step through a poopy cow patch. This summer, we decided to take a family trip to Japan. Our 10-year-old son is passionate about Japanese cuisine, so we weren’t worried about how to feed a finicky kid in a foreign land. We were meeting our friend Nancy, who travels to Japan several times a year, so we weren’t sweating over transportation or communication. As always, we were concerned about where Katy would pee. It’s one thing to be chased out of the women’s restroom in a familiar culture, and quite another thing to be chased out of a restroom in a place where you don’t know the language or customs. 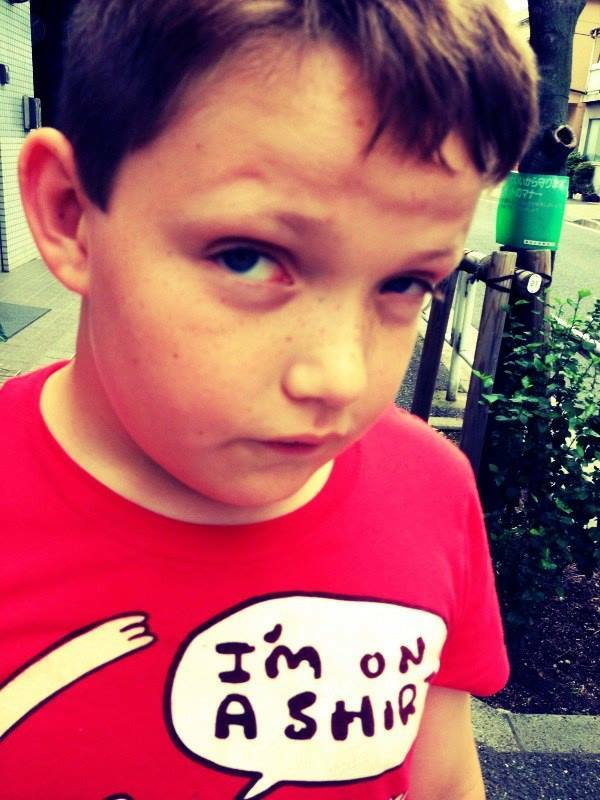 Waylon looks suspicious on the streets of Tokyo. 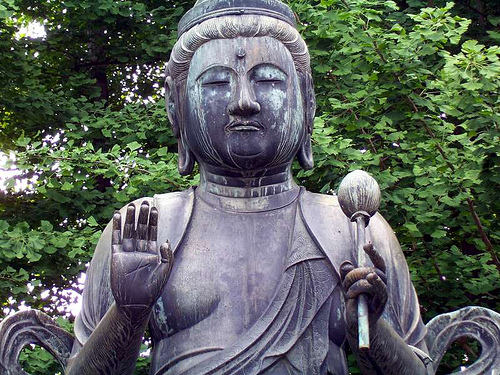 Statue of Guanyin at Sensoji Temple. 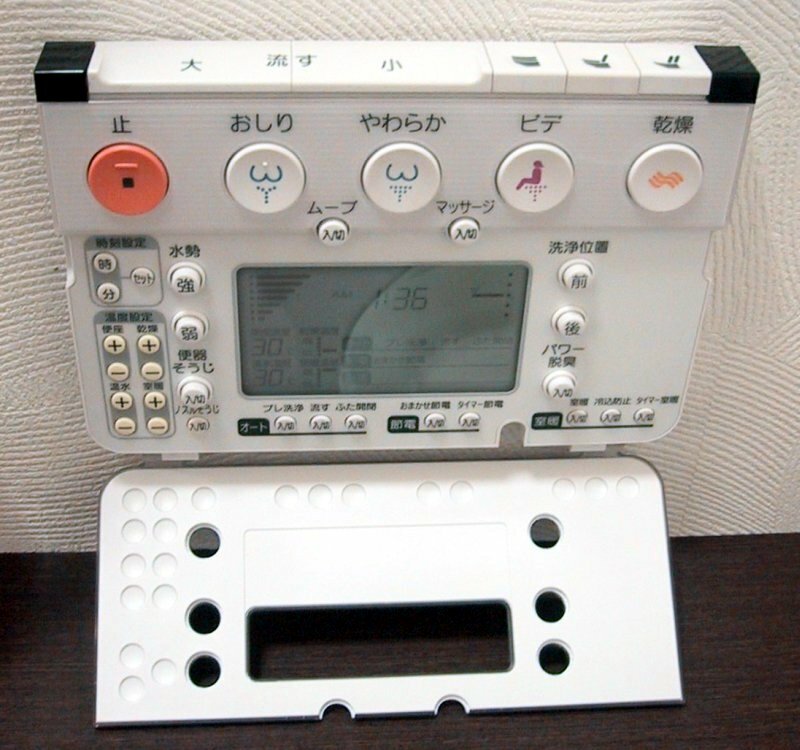 We are totally getting a Japanese bidet toilet some day. I asked my friend Yumi if she had a hypothesis about why Katy had such a great experience. As a Tokyoite, Yumi suggested that Katy’s difference as a white foreigner probably trumped any other differences. Also, she mentioned that people in the city just want to avoid trouble and go about their business. They’re less likely to engage a stranger—especially when there’s a language barrier. I suppose we’ll never know why the bathrooms were so blissfully uneventful on this trip, but it was certainly a welcome respite. I’m curious to know what other gender nonconforming folk have experienced in Japan and elsewhere? Family portrait at Fushimi Inari shrine in Kyoto. Sensoji photo credit: James Willamor. Wireless Toilet Control Panel photo credit: Chris 73 on Wikimedia Commons. I tend to avoid public bathrooms unless I am accompanied by my partner. I had an ugly scene once in the Houston airport trying to pee between flights and that still sticks with me. I recently travelled in Guatemala and was read as male a lot; so I didn’t try using the always available and clean women’s pay toilets in the markets (a godsend for Donna who needs to go every 2 hours). I just held it until I got someplace safe. I’m a big believer in pee before you go, and in any cafe/restaurant I patronize. To persons who deny me a place to pee.